This soap box is one of the makeover portfolio projects listed here. If you plan to be a graphic designer, you need a graphic design portfolio even when you have little real-world experience and no clients. Whether you use the traditional album of printed samples or the more modern online collection of work samples, you have to start somewhere. Aim for a variety of projects for your portfolio to show off your versatility. If you specialize in illustrations, those should be prominent in your portfolio. If you're a hope-to-be web designer, include web designs. Even if you haven't worked as a graphic designer yet, you may have school design samples you can include. Volunteer to do pro bono work for a local good cause, whether it is for print on online; both will result in concrete portfolio samples. Round out the work samples by work you design for yourself. Just about every designer needs some experience with web design nowadays. 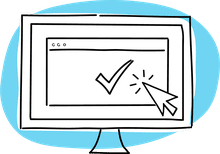 In addition to including samples of any live web pages you worked on, include individual elements such as logos, navigation buttons or animations. It's fine to include mockups, personal design projects and school designs in your portfolio. Choose your best work. Most graphic designers for web and print are called upon to design a logo at one point or another. Include completed logos and the variations you went through to arrive at the completed version if you have them. Also, hypothetical redesigns of a well-known existing logo can show off your imagination and style. Business Cards: Start small and design your own business card or redesign an existing company's card. If you want to practice on an example, try out this project for a skincare products company. Go ahead and design a business card and envelope for yourself or a sample company while you are at it. Brochure: The ubiquitous letter-fold, three-panel brochure is often the star (or downfall) of a print portfolio. Why? Because you have to know where the folds fall and how to adjust the positioning of the text to accommodate those folds. Design your own promotional brochure or try out this business tri-fold project. Packaging: An example of a packaging design shows off your design skills and your ability to visualize the special requirements for a piece that requires intricate folding before delivery; you have to take into account the folds and the glue areas. If you haven't worked in packaging yet, you'll need to manufacture your own sample product. 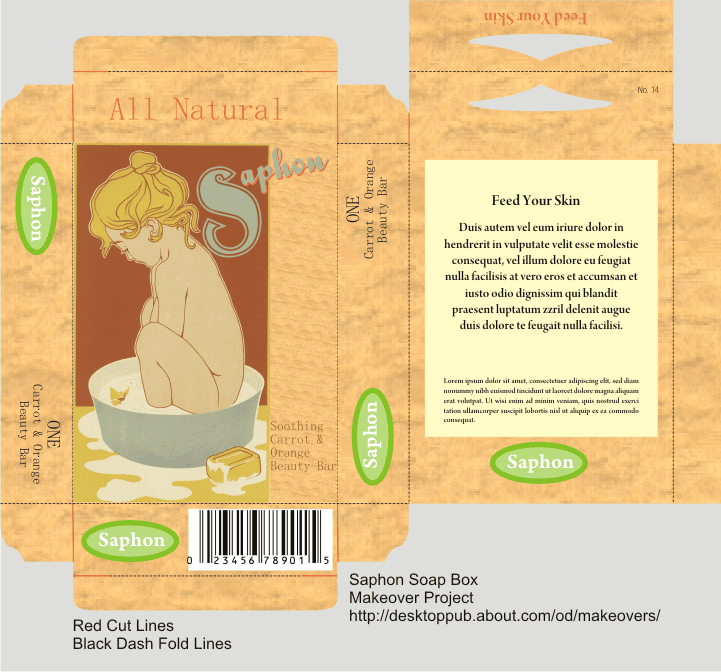 You can use this illustration for a box for a bar of soap to anticipate folding needs. Poster or flyer: Even if you have to include a reduced version of a poster, include a poster or flyer. It should showcase your best design talents, be highly legible and draw the eye. Your portfolio is a conversation starter, so be prepared to answer questions about how you designed the samples in your portfolio. If you don't have a good desktop printer to produce clear copies of your samples, go to a copy shop for color copies that show off your designs.